If there is one site that genuinely influenced the way I think about coffee, it is Dear Coffee, I Love You. In its fourth year, DCILY has become the go-to resource for inspiring articles and reviews on “the intersection of coffee, culture, creativity and design.” In addition to publishing quality content, DCILY has branched out to sell stellar original coffee products. For most of 2013, my mind was mulling over thoughts on coffee, branding and design – coffee taste, coffeehouse atmosphere, coffee and design, coffee and creativity. There was one way I could delve further into this rabbit hole, into the qualm of everything coffee, everything creative, everything design: ask DCILY. So I did. Meet the wizard behind DCILY, Brian W. Jones. Brian is a designer, photographer, writer, Project M Advisor, Sandboxer, & social entrepreneur who currently lives and works in Göteborg, Sweden. His work has been recognized by Print, STEP, ID, The New York Times, Fast Company, the AIGA, Swiss Miss and numerous other places around the web. On top of all that, Brian is a contributing writer on consumerism & sustainability for Unconsumption. In his “spare time,” Brian is completing a Masters in Business Design at the University of Göteborg in Sweden. For those of you that are fortunate enough to attend the 2014 SCAA Annual Exposition in Seattle, Brian is giving a talk entitled “Value of a Distinct Brand” (click here for more information), challenging businesses to think differently about their brand and customer experience. This Q&A was a tremendous learning experience for me. As my thoughts on coffee and design continue to develop, Brian’s work will always be appreciated. INL: What first attracted you to design? What first attracted you to coffee? DCILY: What I love about design is the opportunity to transform things that aren’t working the way you want them to, into something more preferred. Everything around us is created by someone, and very rarely are those things questioned. We just keep using things, or doing things the way we always have—because that’s the way it’s always been. Design allows you to challenge that. 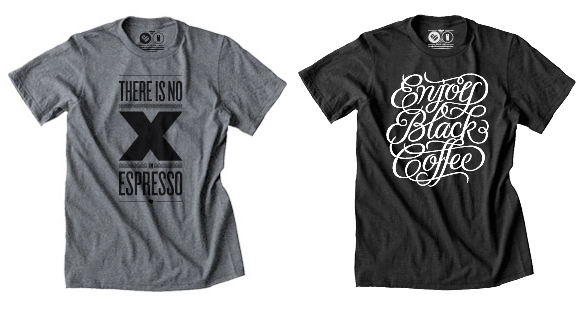 Originally, coffee gave me the energy to focus on design. I hated coffee for the first few years that I drank it (and made it for other people). I thought it tasted terrible, because it did back then. But the first time I had a sip of better coffee, my design mind kicked in and I wanted to know why everyone drank that awful burnt tasting stuff, when it could be so much better. So I started reading as much as I could about coffee, and looking into how I could improve the current state of coffee, not only in my life, but in the lives of those around me. INL: You are currently living in Sweden. Why Sweden? What led you there? What was your first impression of the country (and the region in general)? DCILY: The short answer, a girl. The long answer, an admiration and fascination with Nordic culture, the landscape, the people, the coffee, the women—see short answer. The landscape is serene, and the cities integrate nature really well into their design—they don’t hide it or get rid of it. You always feel very connected to the environment around you. I really like that. The people are pleasant and easily approachable, but there is also a sense of personal space that I appreciate. So many things I’m use to in the US are simplified and systemized. The grocery stores are smaller, with less choice (less unhealthy choices). The transit systems, while not perfect, are better than anything I’ve experienced in the US. There’s also a much stronger emphasis on equality and accessibility than anywhere I’ve ever lived. I like those things. INL: What is inspiring about Nordic coffee culture? What are some hallmark differences between Nordic and American coffee cultures? DCILY: People sit and drink their coffee in the coffee shops. Take-away is not the default option for ordering coffee and I find that incredibly inspiring. Not only for culture, but for humanity. You have to specify that you want to take it with you because most people want to take a break, they want to sit with friends and chat or read. There are also a lot less laptops. In terms of specialty coffee, everything is roasted lighter, which leads to a much different flavor profile than some people are use to—but it’s definitely my preferred way to drink coffee. There’s more emphasis on the delicate notes, florals, berries, acidity. It can often taste as much like a tea as a coffee. Even the largest coffee chain in Sweden, Espresso House, uses coffee from Solberg & Hansen, that’s as light if not lighter than many US specialty coffee roasters. INL: You run a design studio, you co-founded Coffee Common, you’re a graduate student, and you publish one of the most respected coffee blogs around. How do these different roles feed off each other? DCILY: Each one of these things provides an avenue of procrastination from the others whenever I hit a wall. Which is great, but it can be hard to devote the attention I want (or that something needs) to each one of those things. Ultimately that’s why Coffee Common came to an end—everyone involved had too many other things going on. DCILY often get’s relegated lower on the list as well, since client work and school come first. That’s why there’s been a fluctuation in the post frequency on DCILY in the last year and a half—it’s not for a lack of content, but a lack of time. INL: You have an interest in café design as well. 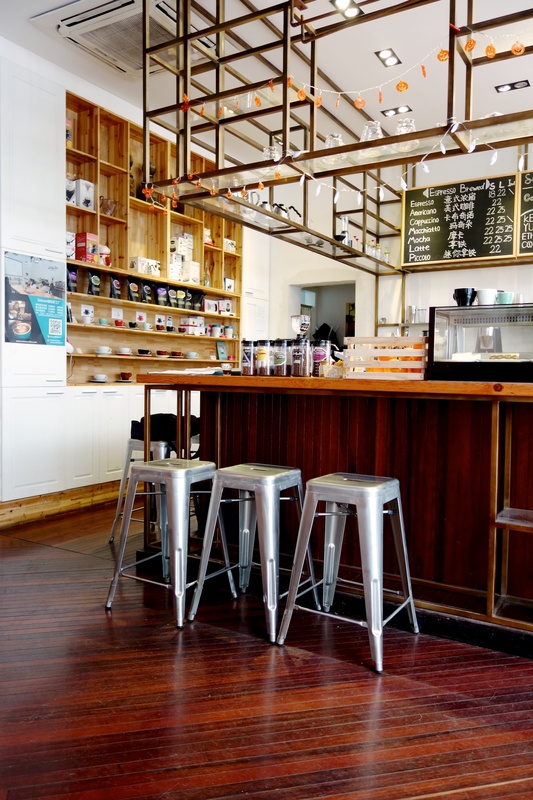 After sipping through dozens of cafés in various cities, do you have a few favorites in terms of design? DCILY: Koppi Coffee, in Helsingborg Sweden is just perfect. I love that shop and the people who work there. It feels like family when I’m there and the coffee is always great. Certain times of the day, the light is truly magical and I never want to leave. The simplicity and warmth of Tim Wendelboe’s coffee shop is fantastic and I’ve had several of the best cups of coffee in my life there. If there isn’t a line, the smartly dressed staff will have a glass of water waiting for you before you even reach the bar. You always receive top notch service. In the US, there are some really epic spaces, thanks to all the room available. Sightglass in San Francisco really sets the bar high, Verve Coffee in downtown Santa Cruz and the new Saint Frank are incredibly beautiful shops—and that’s just around a small region. 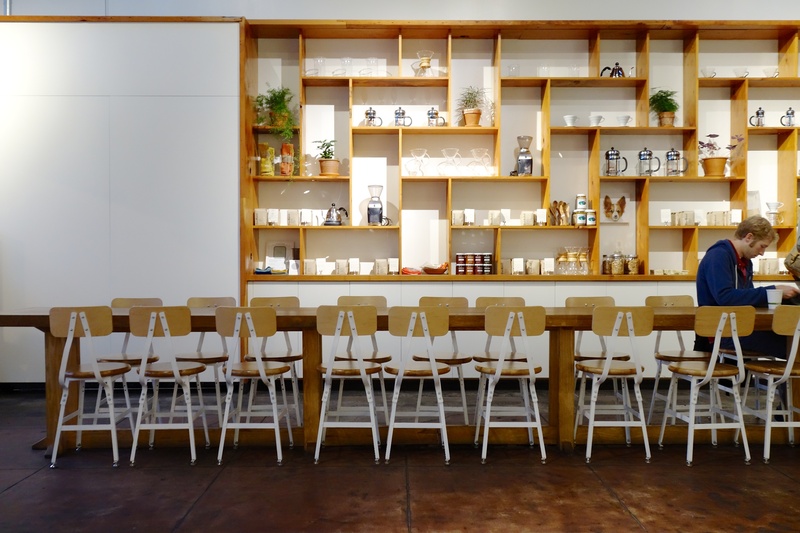 The problem with specialty coffee shop design currently is that too many of the start-ups and independent multi-roaster shops are relying on the formula that’s been proven to work. So there are a lot of places that, while nice, could all have the exact same sign out in front of them. They are just replicas of replicas—nothing new. Very few companies are creating a space that challenges the preconception of what a coffee shop is or can be, meanwhile many people in the industry talk about elevating coffee in order to increase its value to become sustainable in the long run. It’s hard to change perceptions by recreating standard archetypes. Pretty wood and standard service is still just standard service and pretty wood. INL: What weighs more – coffee taste or café design and atmosphere? 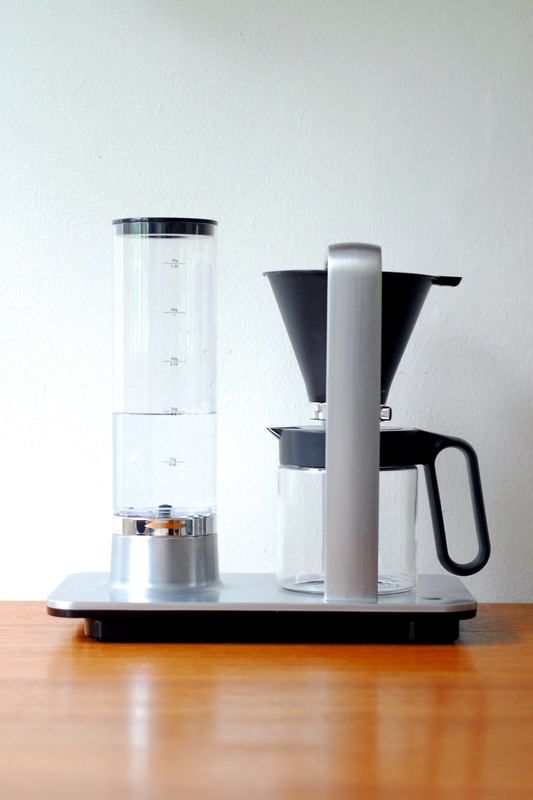 How do these things complement each other to present a unique coffee experience? DCILY: Preferably it’s a completely holistic experience, but that’s rarely the case. 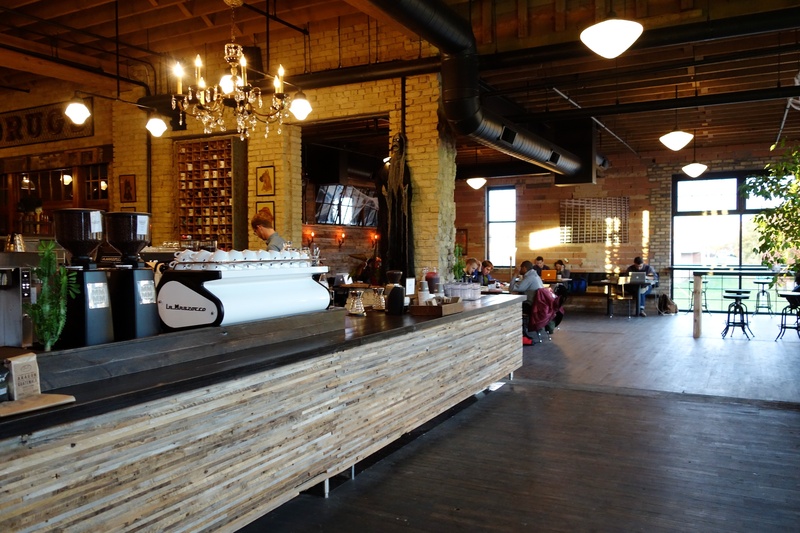 I’ve personally been known to drink less enjoyable coffee to be in a space that inspires me. I would say that to most people, the brand and atmosphere (and location) probably matter more than the taste of the coffee—unfortunately. Starbucks has proved that point pretty well. 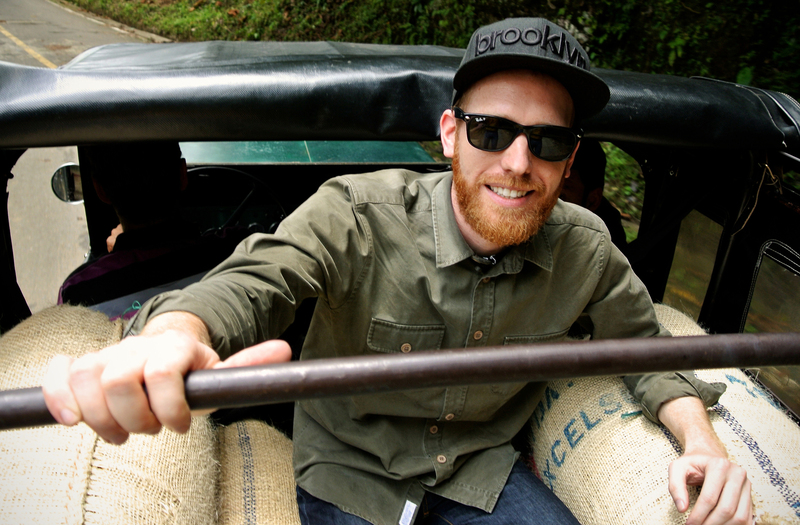 INL: Why is branding important to coffee? 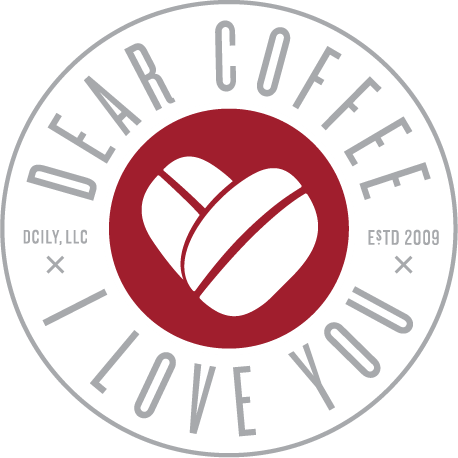 DCILY: I think branding is incredibly important to coffee for several reasons. While coffee varies greatly from k-cups to the finest specialty coffee, the differences become less perceptible to average customers at the higher ends of the specialty spectrum. So how does one company set itself apart from another when they are essentially selling the same product? First, brand is extremely important to customer acquisition. When someone is making the jump into specialty coffee, or from one company to another, it will most likely be based on a company’s reputation. If they are browsing the coffee aisle in Whole Foods, a combination of brand awareness and design (like wine labels) will play a role. If a customer has never tried your product, they will rely on all of the information they can gather elsewhere—which is intrinsically connected to a company’s brand. This information can be from word of mouth, previous experiences, or simple awareness of the name over others. The tricky part is that people react differently to different design details, so there’s never a “one size fits all” solution. One person may connect better with the flashy packaging from Verve, thinking it’s more professional or premium, while another person thinks the brown paper bags from Stumptown means it’s more crafted and natural. These kinds of details reflect back on how the brand is perceived overall and can have a huge impact on whether a person connects with it or not. INL: Which roaster and/or café has the most iconic brand, and why? DCILY: Starbucks? That can be hard to answer with specialty coffee. I think there are regional differences, so everyone will have a hometown advantage, i.e Stumptown in Portland versus Intelligentsia in Chicago versus Coffee Collective in Copenhagen. Some companies have benefited from high profile media coverage or marketing on a national level, so Intelligentsia, Stumptown and Blue Bottle are pretty household names. Within the world of coffee nerds, the world is a much smaller place, but the companies that have been around longest tend to be more universally known. 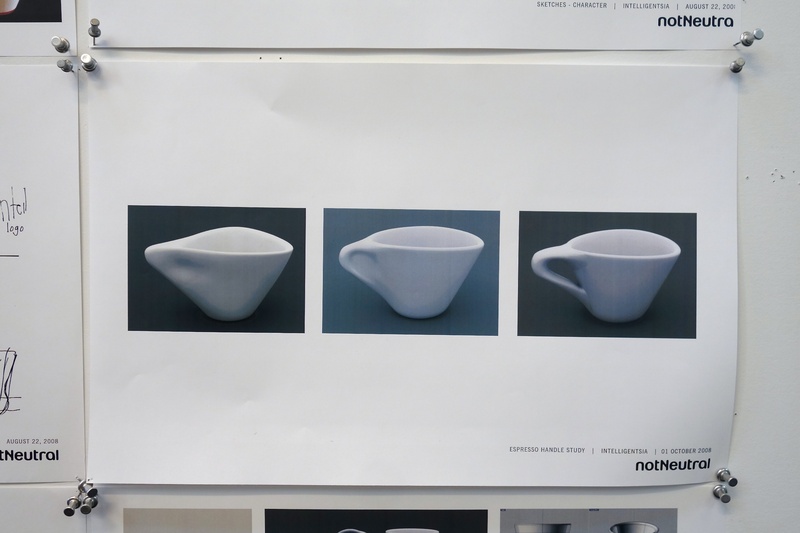 INL: In your opinion, how does design empower coffee? 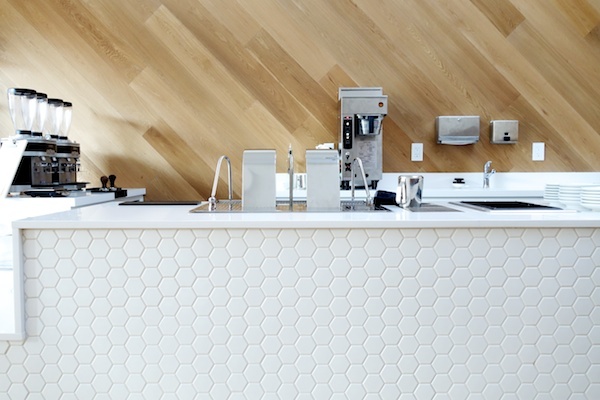 What is the interplay between coffee and design? DCILY: Design can help change the experience someone has with coffee in a positive or negative way. Whether it’s the interior design of a coffee shop or the way the service itself is designed, it can affect whether someone has a pleasant experience or not. 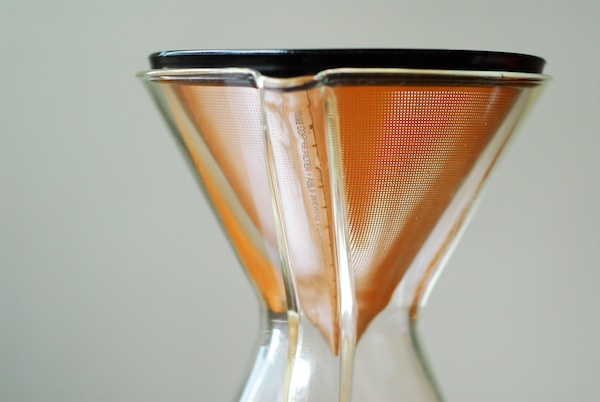 The design of a cup, packaging, seating—they will all affect a person’s experience. The better the experience, the more willing customers will be to pay more for specialty coffee. Also, the way information about coffee is communicated can affect the level of knowledge consumers have, how much they retain and whether it’s interesting or off putting to them. Design can also affect coffee behind the scenes on the supply side, like new processing and drying techniques, new storage methods and even harvesting tools. These things aren’t as glamorous but design could have a huge impact on them in the future. With different types of disease like Leaf Rust effecting coffee plants, it will become even more urgent for new solutions on the farm and design could play a major role in developing them. INL: Where is specialty coffee headed in the next five or ten years? How will design be a part of that future? DCILY: In 5 to 10 years, I think the changing climate will mean there will be less of the good stuff—so we’ll be buying it on street corners for exorbitant prices and injecting it straight into our veins. In the next 2 to 3 years, I think there will be even more focus on the design of better service experiences and less on the theater of coffee. After a recent visit to LA and spending a lot of time in G&B and Go Get Em Tiger, I’m convinced that coffee from a Fetco, when used well, can be fantastic. It was better than any of the pour overs I had elsewhere and it was delivered quickly. The focus and energy recovered from manual brewing can be refocused on making customers feel welcome in a way that won’t make them scoff about a $6 coffee served by someone with tattoos and a denim apron. I’ve been spending a lot of time in cocktail bars recently, and although there are a lot of differences (including cost margins), there is a lot that could be learned from the quality of service they deliver. The future of coffee will be determined by service. All images incorporated into this Q&A were provided by the courtesy of DCILY. All rights and privileges to the images belong to DCILY and Brian W. Jones.